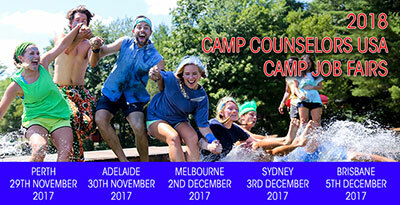 CCUSA Australia - Summer camp jobs, work and travel experiences, and volunteer adventures in the USA and around the world. CCUSA Australia. 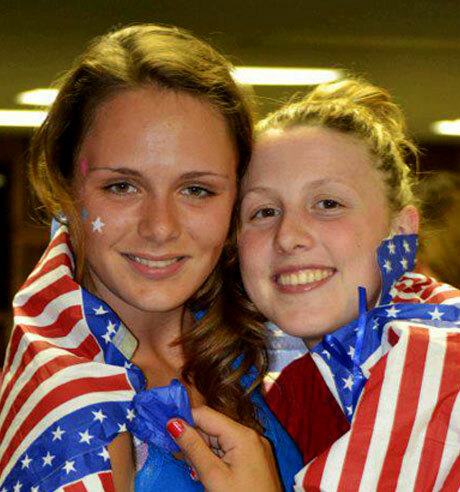 Providing Exciting Summer Camp Jobs and Work and Travel Adventures in the USA and Around the World! JOIN OVER 1000 OTHER AUSSIES AND START YOUR ADVENTURE TODAY! Looking to work at a US summer camp in 2018? Applications now OPEN! I just wanted to say a huge thanks to the whole CCUSA Melbourne team- you guys have been incredible and always been super helpful + lovely. Thanks so much for making the process easy and enjoyable, really appreciate it (and thanks for putting up with all the questions I've asked over the past year haha! To anyone heading over to camp this year: you are about to have a truly incredible time. Don't get stressed about the details of everything or what you're about to do. Everything will easily fall into place when you get to America and if you make the most of it, take advantage of every opportunity, it really could be the best summer of your life. I could go on for hours upon hours talking about camp, and the smile won’t leave my face, not once! So thank you CCUSA! And thank you CHB for allowing me the opportunity to experience this epic journey. Every experience you have is once in a lifetime, every mistake you make is a learning curve (I'm still learning). The memories you make will last forever, the friendships you develop may be brief, but you will always share a connection others will never understand. You find a new home and your world will change. Until you've been, you won't understand the hype. Like my camp says "from the outside looking in you can't understand it. From the inside looking out you can't explain it". So go ahead, let go of all expectations, throw yourself into every opportunity you get and have an amazing summer! CCUSA is the best company I have used. After using them for 7 out of my 9 years of camp. They make the process simple and easy to do. Each step is straight forward and the knowledge the company has about the USA and the application process is outstanding. They are easy to contact and no question is ever to silly to ask!! I've recommended them to a few people who also have no regrets!! Camp is the greatest thing that has happened to me. I'm counting down till I return to my favourite place on earth, for my 3rd summer. And to say I'm excited about seeing my best camp friends from all around the world and to see my campers smile again, would be an understatement. A huge thankyou to not only my camp but also to ccusa for changing my world. 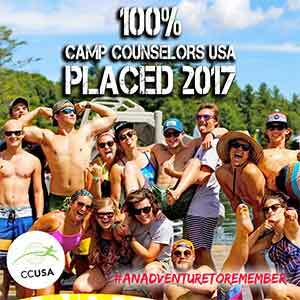 I can't imagine not going to camp, and ccusa makes that so much easier for me! So can it be June yet?" I cannot stress enough how valuable this experience and would encourage anyone reading this and thinking about joining CCUSA just to go ahead and do it. You never know who you will meet and where the journey will lead! I still struggle to find the words to describe how Texas Lions Camp has changed me. It's just this bundle of energy, a feeling, a changed perspective, a sense of 'everything is right' in the world, a purpose... it's so many things that all stem from the same origin. Camp. You never know who you truly are until you've experienced 'bliss'- the perfect happiness. And for me 'bliss' is Texas Lions Camp. Thank you CCUSA for getting me to Texas Lions. I absolutely can’t imagine my life without Camp Jaycee. It has honestly changed me as a person for the best. I have met lifelong friends who feel more like family then anything, and finally have an idea with what I want to do with my life. Not to mention the campers of course, the best thing about my whole experience by far. So basically if you’re new and your scared or worried or just plain freaking out, don't stress as soon as you arrive at camp everything will fall into place, you'll see. And when the summer finally does come to an end, you won’t want it to, trust me and trust CCUSA! I am thankful that CCUSA are there - night and day - to help with this wonderful experience. Someone said to me before camp that I'll catch "CAMP FEVER" and I'll want to go back, year after year. That was a very true statement and sees me going back for round 2"
Camp is the best place on earth, for both kids and adults. You can be silly, you can be wise and most importantly you can make an impact on a child's life. I chose CCUSA to help me with my camp dream because they have such a great track record of placement! 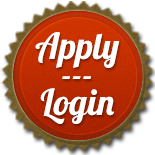 Every person you talk to during your experience has been to camp and knows what it's like to go through the application process. 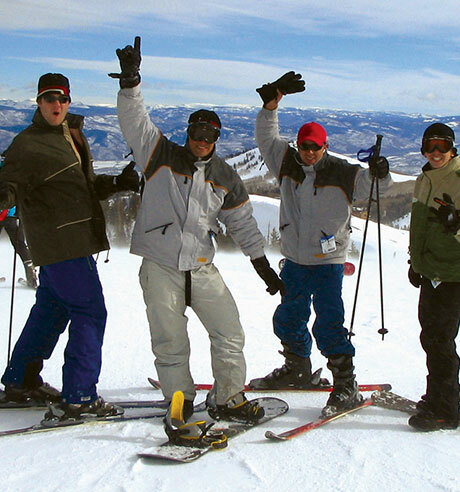 We're excited to announce we have 200 jobs for Aussies to go and work at Aspen/Snowmass, Vail, Breckenridge Colorado and Deer Valley Utah this American winter through our Working Holiday USA program. 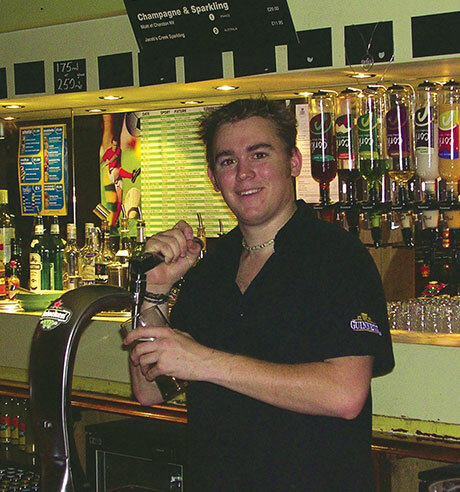 Jobs include Ski/Snowboard Instructors, Lift Operations and Hospitality. 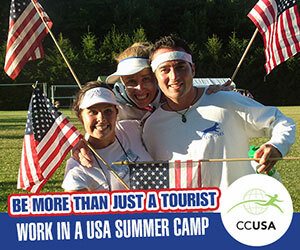 CCUSA has placed 100% of participants at Summer Camps in the USA for 29 years. So what are you waiting for - register NOW so you don't miss out!